Ellen DeGeneres gives moving Teen Choice Awards speech. Ellen DeGeneres acceptance speech at the Teen Choice Award is what every teen needs to hear. Her mantra is “be kind to one another” and the talk-show host sure lives what she preaches. 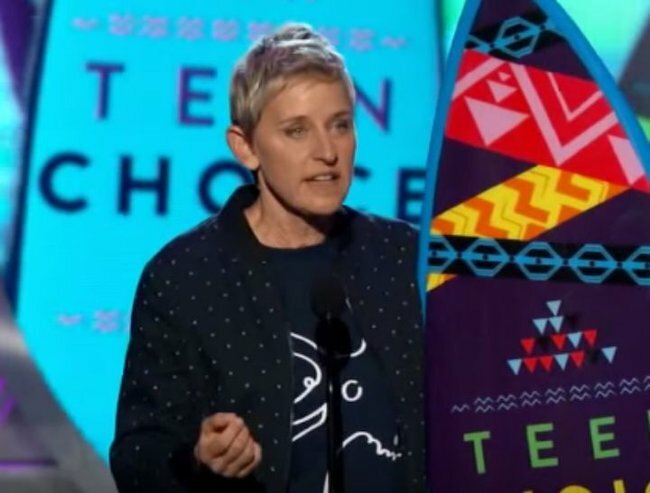 In a rare serious moment, 57-year-old comedian Ellen DeGeneres gave struggling teens everywhere hope for the future by sharing her experience of being cast aside as a youngster during her acceptance speech for Choice Comedian at the Teen Choice Awards. 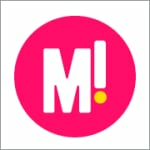 Ellen – who dedicated the award to her wife Portia de Rossi on their seventh wedding anniversary – told teens to be proud of what sets them apart. “I wanna say also it feels good to be chosen, but there was a time in my life that I was not chosen,” Ellen said. “The most important thing I wanna say is just really embrace who you are because being unique is very, very important and fitting in is not all that matters,” she said during the speech. Watch: Ellen DeGeneres passionately shuts down anti-gay Pastor. Portia did a thing for her wedding anniversary with Ellen DeGeneres. Ellen and Portia share a make-up free selfie. Melts the Internet’s cold heart.